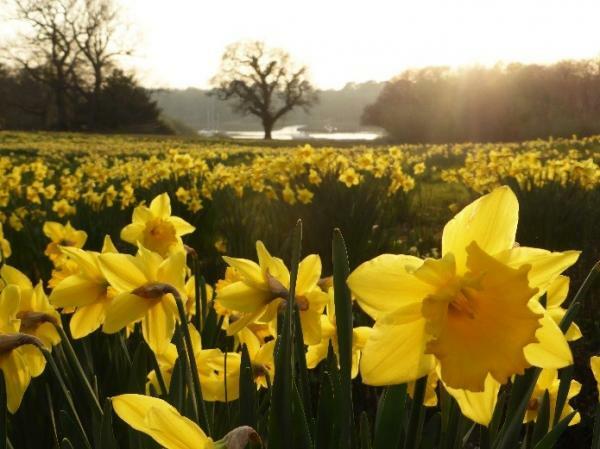 The Daffodil Meadow offers a spectacular view of the Beaulieu River. Here will be found at the appropriate season ‘a crowd, a host of golden daffodils…beneath the trees fluttering and dancing, in the breeze’; withstanding the early frost, they form a brave sight on the cool early spring days. To maintain this spread of yellow innumerable new bulbs are planted year every year. In the Summer this also turns into a fabulous meadow of wild flowers.